There are currently thousands of knives on the market today, all of them offering their own specialty and unique function. It can be intimidating to sift through all the different brands and different types and even more difficult to find the right one for your needs at the right price. When it comes to hiking knives in particular, there are many things you want to consider before spending a substantial amount of money. Below are some of the top hiking knives currently available and some of the traits you should look for in the best hiking knife. Before getting into the knives themselves, it’s best to first decide what type of hiking you’ll be doing, the intensity of the hikes you’ll be doing and the length of the hikes you’ll be doing. Doing a couple weekend hikes during the summer will warrant a different knife than attempting a thru-hike for oblivious reasons. Though the differences are slight, it’s still important to determine the activity for which you’ll be using the knife in order to save you time and money in the long run. For those attempting a thru-hike the biggest consideration for a good knife is, as with everything you’ll be carrying, weight. With most knives, the consideration of weight will mean you’ll have to sacrifice size in order to get the right knife with the right weight, for the right price. There are full length knives that weigh under two ounces, however these can be relatively expensive and in most cases when thru-hiking, the size of the knife will be inconsequential to the use and purpose of the knife. If you’re simply hiking on the weekends or taking shorter overnight backpacking trips, weight is not as big of an issue. Utility will most likely be the name of the game when choosing your knife for weekend trips and shorter distance hikes. For example, going a shorter distance means you can take things like a fishing pole and catch your dinner, but you’ll need a knife that can handle gutting and cleaning a freshly caught fish. The weight of the knife is inconsequential to the usefulness of the knife itself in the case of short hikes or weekend trips. Your intended use for the knife will ultimately impact the style of knife you decide to buy and how much you’ll be willing to spend. Most thru-hikers carry a small, light pocket knife which may be too small if you plan to gut and clean fish. In the latter case you may want a larger fixed blade knife to make it easier to get around fish bones or cut the head off. Again, it comes down to the purpose of your hiking knife. Once you’ve decided on your intended use the main factors you should consider in the knife you ultimately purchase are as follows. While most knives are made of some form of high grade steel, there are variations of the metal or various metal coatings that many companies use to help bolster their products durability. Titanium is a highly touted, often used coating to help strengthen the base metal and prevent oxidation and rust. Similarly, some companies will use carbon or ceramic coatings to prevent chips and cracks in the metal. Coatings and steel quality will often add to the price but their effectiveness at preventing damage to the blade is often worth the price. Almost anything can be made into a knife handle, from wood to animal horns and every sort of synthetic material. 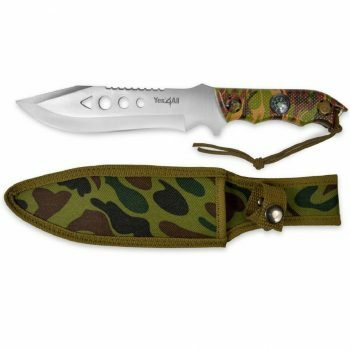 With the latest trends leaning towards tactical style knives, the synthetic handle has become more and more popular to the point of creating a scarcity of natural handles. Synthetic handles have a distinct advantage in non-slip grips and look very sleek and tactical. Many survival knives are created as a minimalist design with parachord being used as the grip. In the end, the handle material comes down to personal preference and what feels comfortable and ergonomic in your hand. Handy for bigger jobs like cutting wood, skinning animals, or cleaning fish, the fixed blade has a multitude of different uses that make it ideal for survival uses or weekend camping trips. The advantage of the fixed blade is it’s structurally sound design making it highly durable. Most quality fixed blades are created from a single piece of steel, meaning the handle simply covers the lower half of the knife. This makes it harder to snap the blade from the handle when using the knife to pry or chop. The downfall of the fixed blade is its difficulty in carrying and its cumbersome nature due to its size. Pocket knives are obviously smaller and lighter than most fixed blade knives allowing them to be easily carried. Most come equipped with pocket clips to efficiently secure them to your person and prevent them from being lost. Pocket knives are great for thru-hikers and weekend backpackers as they can accomplish most tasks of a fixed-blade (albeit a little slower and less efficiently) without the added weight and size. Depending on the length of the blade, pocket knives have a surprising ability to do many of the tasks fixed blade knives can do. Their downfall, however, is their durability. While many can withstand a tremendous amount of use and abuse, structurally, they can’t withstand the same pressure and force that fixed blades can. The most common blade shape is the drop-point style which often provides the ability to both slice and pierce without sacrificing the structural integrity of the blade. 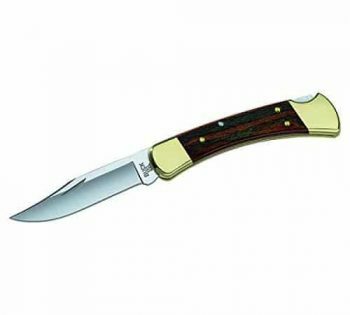 There are several different designs all with their own specific uses such as the long, skinny blade of filet knives, the thick, intimidating blades of Bowie knives and everything in between. When considering the blade shape, it’s important to take into account the intended use of the knife. You don’t want a filet knife if you plan on using your knife to chop wood or cut through tree branches. Many knives come with part of the blade serrated in order to ease some tasks such as sawing or cutting rope. Many survival and aquatic knives have serration in cases where clothes need to be quickly cut off a victim. Though useful at times, some people think serration a nuisance and not worth having on their blade. As with most things, when it comes to knives, you get what you pay for. That doesn’t you should have the most expensive knife and it’ll be the best knife you’ve ever purchased. However, it does mean that the five dollar knife from your local convenience store will most likely not last more than two or three camping trips before it loses its edge or worse, snaps while you’re whittling away. Many of the high quality brands charge the prices they do because they offer high quality knives and tools and back them up with supreme money-back guarantees. These guarantees should be considered when buying a knife, especially if you plan on using your knife a lot. Remember not all guarantees and warranties are created equal, so be sure to figure that into the long-term cost of your knife. Once you’ve decided the basics of the knife you want, it’ll be easier to find the perfect knife for you. Backed by Gerber’s lifetime limited warranty, the Gerber Paraframe I Knife is sure to please any hiker or camper. Using a skeleton handle to cut down on weight, this minimalist design lowers overall weight without sacrificing durability and reliability. The blade is made of high-grade carbon stainless steel and has serration near the base of the blade. This is a great knife for almost any purpose and the price is tough to beat. 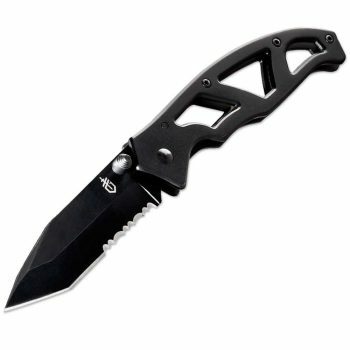 Related: Buck Knives 0290 Rush: Slightly lighter than the Paraframe, the Rush has aluminum handles making it lighter while maintaining its durability. Great alternative for those looking to thru-hike, where every fraction of an ounce counts. The blade on this BlizeTec Titanium Folding Knife is constructed of stainless steel and coated with titanium giving it a rigidity and dependability rarely matched by pocket knives of similar sizes. Great for everyday carry or for short-term hiking and camping trips, this knife has been tested in extreme conditions by knife testers and altered based on their suggestions. From extreme heat to high altitude peaks, this knife has been through every environment and every condition imaginable making it one of the most reliable knives on the market. Related: Spyderco Tenacious Folding Knife: With the same grip as the BlizeTec, the Tenacious is half the weight and slightly smaller in size. It’s a great alternative but at a slightly more expensive cost. Sporting a stainless steel blade, the Yes4All MH-H150 Tactical Knife is a great survival knife and the perfect companion for any hunter or angler. The six inch blade can chop wood, skin a small animal, filet a fish, or saw through tree branches and bushes. Highly affordable and extremely reliable, this knife can accomplish most tasks around your campsite and would be a great addition to your collection. Related: White River Knucklehead: Smaller, lighter, and equipped with a bottle opener, the Knucklehead is a more expensive version of the MH-H150. Those looking for a smaller fixed-blade with everyday carry in mind, might want to check out the Knucklehead. Backed by one of the best warranties among knife and tool manufacturers, the Benchmade Griptilian 551 is a highly reliable and dependable knife. The perfect size for everyday carry or longer backpacking and camping trips, the Griptilian is designed to fit perfectly in your hand to relieve hand fatigue during use. The handle is made with glass-filled nylon to ensure a non-slip grip and has an ergonomic design. Though a bit on the expensive side for a foldable pocket knife, Benchmade’s satisfaction guarantee is worth the price. 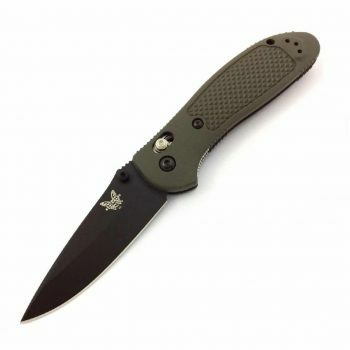 Related: Benchmade Griptilian 550HG: Essentially the same knife as the 551, the 550HG has a unique blade shape ideal for field dressing and chopping. The wider tip and non-serrated edge make it better for slicing and kitchen tasks. The Gritilian series offers many blade shapes and styles, essentially making them customizable. A traditional style knife, the Buck Knives 110 Folding Knife has a classic look with a modern, high quality steel blade. Simple yet effective, the 110 is a suitable knife for most activities around the campsite and is a useful tool for any and all users. It’s also a great heirloom knife due to its classic and historical look. It’s a knife your grandfather would be proud to carry. Related: Puma SGB Stockman: Essentially the American version of the Swiss Army Knife, the Stockman has a similar style to the 110 but with two extra blades, both with a different shape for different uses. About the same price, the Stockman may be the better choice if you’re unsure of what tasks you might need your knife to perform. 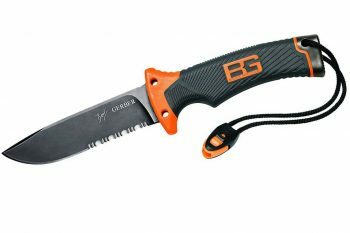 Designed by former SAS operative and current TV personality, Bear Grylls, Gerber Bear Grylls Knife is highly effective and highly reliable. With a half serrated, carbon steel blade, this knife has a wide range of convenient and useful features including a sharpening stone and fire starter integrated into the durable nylon sheath. Great for the survival enthusiast, there is little this knife can’t accomplish and at an affordable price, it’s hard to beat. 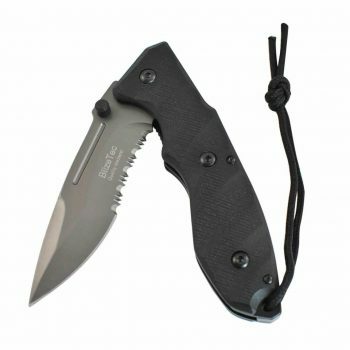 Related: Cold Steel Peacemaker II: A survival knife without the bells and whistles, the Peacemaker II is a high-quality knife with the same basic style as the Bear Grylls knife but at a much lower price. Those needing a survival knife without the accessories would be more than happy with this style knife. Designed by famed knife-designer, Ken Onion, Kershaw Leek Knife is one of the most popular everyday carry knives on the market today. 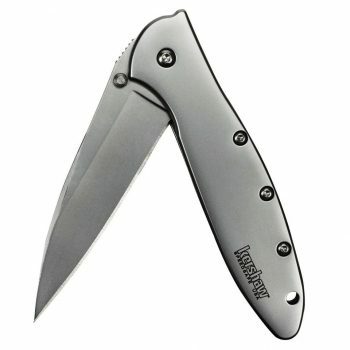 The ambidextrous, assisted opening, design allows users to carry the knife in either pocket and used with either hand. The long edge makes this an ideal knife for kitchen tasks such as slicing, with the fine point tip perfect for piercing and detail work. Made in the US and backed by Kershaw’s lifetime warranty, the Leek is the perfect combination of quality and affordability. Deciding on a new knife can be a painstaking and arduous process, especially with the shear number of different knives coming on the market everyday. It can be a difficult and tumultuous world to navigate particularly with high priced knives often not meeting your needs. In spite of tall this, purchasing the right knife at the right time can save you a lot of money and ultimately could save your life. As with any major purchase, it’s important to do your research and make your decision only after you’ve thoroughly investigated the right knife for you. A great resource for knife research is your local outdoor or sporting goods store where you can handle any knife you may be interested in. Additionally, many of the employees at those types of stores have a lot of experience in those areas and can recommend a great knife based on what you’re looking for. The same applies to gun and knife shows where you can often find tremendous deals on the most popular knives. Have a great knife that didn’t make the list? Tell us about in the comments section. DIY Sleeping Bag Liner: Why Buy a Liner When You Can Make Your Own?